Bill was employed by CIBC for thirty five years and was a Senior Manager, Commercial Banking just prior to retirement. Bill is a graduate of Illinois State University (Marketing). Bill has been active in the Oakville community for many years. 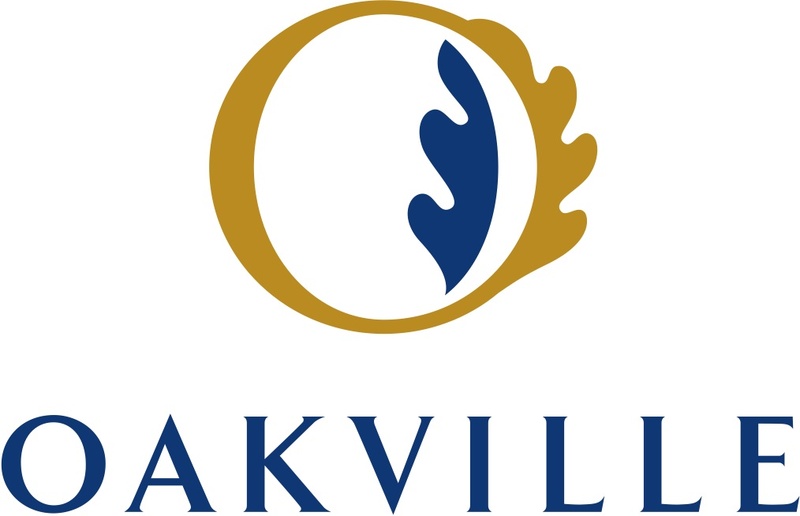 He is currently the President of Oakville Arts Council, Board Chair of Celebrate Oakville Festivals, Board Chair of CommUnity Arts Space, and a member of the Oakville Community Foundation Advisory Council. Previously, Bill was Board Chair, Oakville Community Foundation (2000-2003); Board Chair, Oakville Waterfront Festival (2003-2007); member, Town of Oakville Environmental Strategic Plan Advisory Committee (2003-2011); member, Oakville Community Foundation Youth in Recreation Grants Committee (2007-2010); Assistant Coach, Oakville Soccer Club (Oakville Blaze) 2005-2007; and a Leader in Scouts Canada (1990-2000). Julian has been in the financial services industry since 1976. He has been Chair of the Oakville Centre for the Performing Arts – and was also a member of the Oakville Cultural Advisory Committee. Julian has three children - two of them adults. He, his wife Nandita, and their young daughter live in Oakville. Julian has lived in Oakville since the 1980’s. Stephen Testa is a CA, CPA with extensive corporate leadership experience having worked for companies such as Pillsbury, Smirnoff, KPMG, Robin Hood, Nike and Converse. His Board experiences is no less impressive: he currently sits on the Norco/Live to Play Sports board and the Ryerson University – Ted Rogers School of Management board. He has also served on the board for Lakeport Brewing, One World Chorus, the Daily Bread Food Bank, Adventure Place - Centre for Autistic Children and the Association for Early Childhood Education. Catherine Bobesich has been a resident of Oakville since 1987. With a background in art, design, marketing and business, she has run Wellness By Design for the past twenty three years. In addition to her professional pursuits, Catherine contributes extensively to a wide variety of community organizations in various capacities, including the Wellspring Cancer Support Centre, Kerr Street Ministries, The Cancer Society, and Appleby College, where she was a committed volunteer in a wide range of capacities for seventeen years. Catherine has held several office, committee and board positions in the past 35 years. She also currently serves on the board of the Zonta Club of Oakville, Zonta District and Oakville Galleries. Suzy is currently the Executive Director of the Brampton Downtown BIA. She is a life-long resident of Oakville and has worked with the Oakville Museum and Oakville Downtown BIA as well has having run Godefroy Marketing Concepts and Design. Nicholas Pye was born in Torquay, England in 1976. He lives and works in Toronto, Canada. As a musician, Nicholas released and toured with four albums in the mid 90's. Moving from music to visual art, Nicholas completed his undergraduate degree at OCAD in 2002 followed by his MFA degree at Concordia University in Cinema production in 2005. In 2011, Nicholas began working on his doctoral degree in Visual Art at York University. He maintains an active art practice both independently and collaboratively. His interests integrate performance, cinema, installation and large format still photography. Pye has exhibited his work at institutions such as The Hirshhorn Museum & Sculpture Garden, Washington, DC; The Phillips Collection, Washington DC; Linden Centre for Contemporary Arts, Melbourne, Australia; The Art Gallery of Ontario, Toronto; The Museum of Contemporary Canadian Art, Toronto; The Power Plant, Toronto; The Glenbow Museum, Calgary; The Art Gallery of Greater Victoria, Victoria; The Museo Nacional Centro de Arte Reina Sof–a, Madrid; Galerie Nationale du Jeu de Paume, Paris. His work been screened in numerous international film festivals such as the Toronto International Film Festival, Canada; The Locarno International Film Festival, Switzerland; and Les Rencontres Internationales in Paris, Berlin, and Madrid. His work has also been exhibited internationally in Art Galleries throughout Toronto, New York, Washington, London, Berlin, and Madrid among others. Elected to his 11th consecutive term in 2014, Councillor Ralph Robinson has played an active role in municipal politics since 1982. Councillor Robinson brings varied political, volunteer and business experience to his role as a Ward 1 Councillor. He is involved in many areas of community politics: from chairing the Bronte Creek Environmental Assessment Steering Committee and acting as a founding member of the former Community Advisory Committee to Petro-Canada and the Lake Ontario Shoreline Algae Action Committee to participating on a variety of town committees. Ralph chaired the Oakville Terry Fox Run for 25 years. He is a founding director of the Oakville Sports Hall of Fame and a past director of the Halton Multicultural Council. In addition to his list of political credentials, Councillor Robinson has 30 years of banking and entrepreneurial experience. In 1991, Councillor Robinson was nominated and elected by his peers to be a Life Member of the Association of Kinsmen Clubs and in 2009 he became the 11th Canadian recipient of the prestigious Kin award known as "Hal Rogers Fellow" (HRF). He is also a Life Member and Past President of the Minor Oaks Hockey Association. In 2012 he was awarded the Queens Diamond Jubliee Medal. Born in Lindsay, Ontario, Councillor Robinson has lived throughout Ontario and the Atlantic provinces (from Thunder Bay through St. John's). He and his wife, Marie, have three children and ten grandchildren. Born in Toronto, Indira holds a Honours B.A. degree in Art and Art History from the University of Toronto and a B. Ed. from Queens University. She began her career as a successful practising artist winning first place awards in juried exhibitions in Toronto, Mississauga and Haliburton. She and business partner, Doris Gillick started Trias Gallery in 1998. The first location was on the 3rd floor of the ‘Art at 80’ gallery building located at the corner of King and Spadina in Toronto. During this time, the gallery was accepted into the prestigious Art Dealers Association of Canada. Though Doris retired in 2005, the gallery continued to grow, moving to a larger space on the 4th floor and representing 30 exceptional Canadian artists. When the ‘Art at 80’ building was sold, the gallery moved in 2014 to it’s present location overlooking the waterfront in Bronte Harbour. Indira and her family have been proud residents of the Bronte community since 1999. She has been an active member of the Oakville community, serving as a Leader in Scouts Canada (2006 – 2009), the Bronte BIA (2014 – present), the Oakville Cultural Grants Review Committee (2015 – present) and was honoured to be presented the Arts Entrepreneur Award by the Oakville Arts Council in 2015. Teresa Suen-Campbell is the first harpist from China to acquire a Doctor of Music degree in harp performance. She studied at Northwestern University in Chicago. She is the recipient of a number of honors and awards, including the Brevard Music Festival Scholarship and the C.F. Hu Postgraduate Memorial Scholarship. An enthusiastic and dedicated educator, Dr. Suen-Campbell is a contributor to the American Harp Journal. She was appointed as an associate of the harp faculty at Carleton University in Ottawa, Canada, from 2013-2016. She was an adjunct assistant professor at The Chinese University of Hong Kong and was engaged as harp instructor at Northwestern University and at the University of Chicago. Dr. Paul Wu is an obstetrician and gynaecologist who has been in practice in Burlington for more than 30 years. He is also a founding and still active director of the Halton Region Chinese Canadian Association. Over the years he has devoted a lot of time and energy in community affairs. Having involved as well in a number of fund-raising events. He was born and raised in Hong Kong but attended universities in the U.S. and Canada, graduating in medicine school at University of Toronto. His main interest is in performing arts, having performed on stage as a vocalist in chinese opera and other contemporary music functions. He has been a resident in Oakville in the last two years.